As a technology consumer it was always tough to get my head around the Internet Of Things. I have never really seen the point of wifi lightbulbs, self-drawing curtains or an internet fridge. However, I recently took an IOT step. For consumers the idea is simple. You start connecting stuff in your home to the Internet. To the world of AI, machine learning and potentially some benefit managing your home. For me all this happened by accident. My old Honeywell combi boiler controller just stopped displaying properly from time to time. It was a wireless thermostat that required programming and adjusting periodically. It was pretty good 11 years ago when it was fitted but was getting old. To replace this old technology would cost about £130. 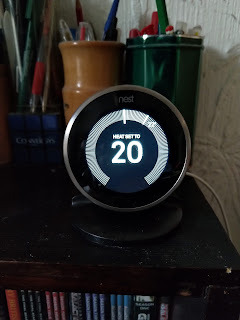 To get a new thermostat that connected to the Internet about £200. However, the latter option did include "learning" about me and having an idea about the outside temperature. 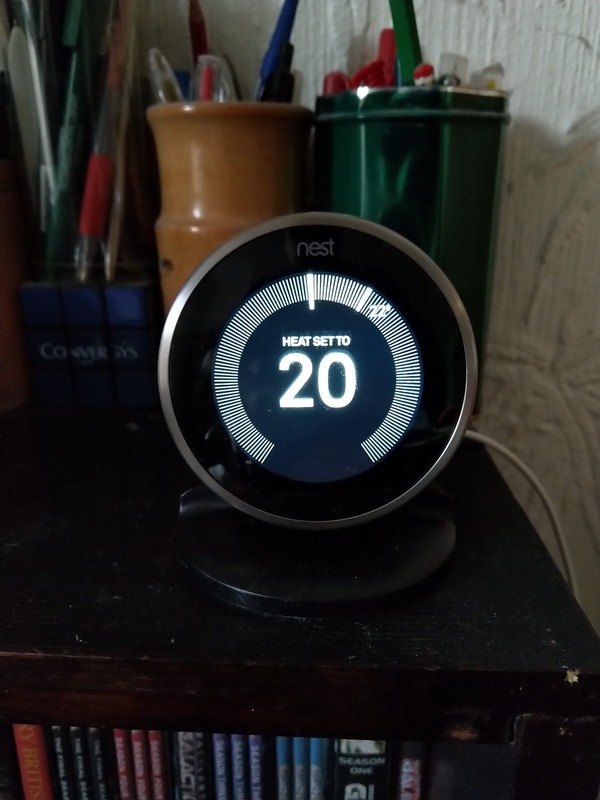 I chose a learning thermostat from Nest. The pack you buy includes a connector for your boiler. You need a professional installer to help with this. My gas fitter was left alone for 30 minutes and got it done. There are basically two wireless connections running. One is from the boiler controller "heatlink" to your thermostat and the other is the wifi link from your thermostat to your wifi router. You can program a schedule of on and off via the website and via an app on your phone. You tell the device what temperature you want, where it is located, what times you want it to work. Off it goes. So far it keeps track of how long your heating works for. It keeps track of the outside temperature via the Internet. It also is quite easy to adjust. 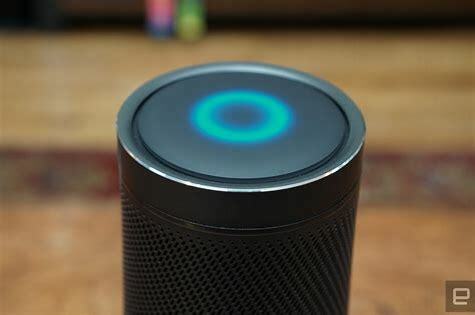 The termostat can also work with voice assistants like the Amazon Alexa device and the Google Assistant. My first realisation that this was different was waking up early, leaning over the bed, picking up my phone and switching on the heating with an app. When I actually got out of bed it was warm. This is very much a "first world" technology problem. My main hope is that the new device will control the efficiency of my home heating to save money and maybe even reduce my impact on the planet's resources through controlling my gas consumption. One obvious issue is that every Internet connected device can be hacked. I am not sure if a smart thermostat is significant target. People could just have a laugh by increasing the heat or switching it off. I haven't yet investigated whether it can be controlled enough to allow access to other device. Its a concern. So far so good. I think over time the "smart thermostat" will just become the thermostat everyone has. For now it's a bit of a novelty and something I am watching closely. I have switched on https proper on these minor pages in a remote part of the Internet. Google will love me for it. Secure your site with HTTPS is the title of their advice. Not only is it good advice the Google search algorithm now pushes your site up the queue if you use https. Configuring the site to use https was easy here. I host the domain on Google itself so it just works. If you have your own small website you may have looked at using secure certificates. However, they normally cost money. If you just run a site for a club or yourself spending £60 a year for a certificate is more than you really want to spend. The answer I have found is free ssl certificates. The site sslforfree.com will give you an ssl certificate for free if you can prove you own the site. An easy way is just to put a TXT record in your DNS that sslforfree.com recognises. The only downside I can see is that you need to renew the cert every three months. Not a problem for the amateur blogger. Secure sites mean that people get end to end encryption, more privacy when they browse and Google gives you a higher ranking. SSL has been around for a while but now everyone can afford to encrypt. Andromeda is not just a galaxy far, far away. It is also a code word for new Microsoft products according to a number of well-known Microsoft bloggers and journalists. We don’t know what the product will look like but many of the bloggers are illustrating their articles with pictures of a possible two screen device with a digital pen. Almost everything about Andromeda is speculation. However, it comes with a lot of anticipation because of the complete mess Microsoft made of the mobile phone market. Without a mobile device of some description, Microsoft is suffering from the fact that the mobile phone, running operating systems from Google or Apple, is dominating the market for personal technology. The switch to mobile phone usage as the primary computing device reduces the PC to a more minor position. 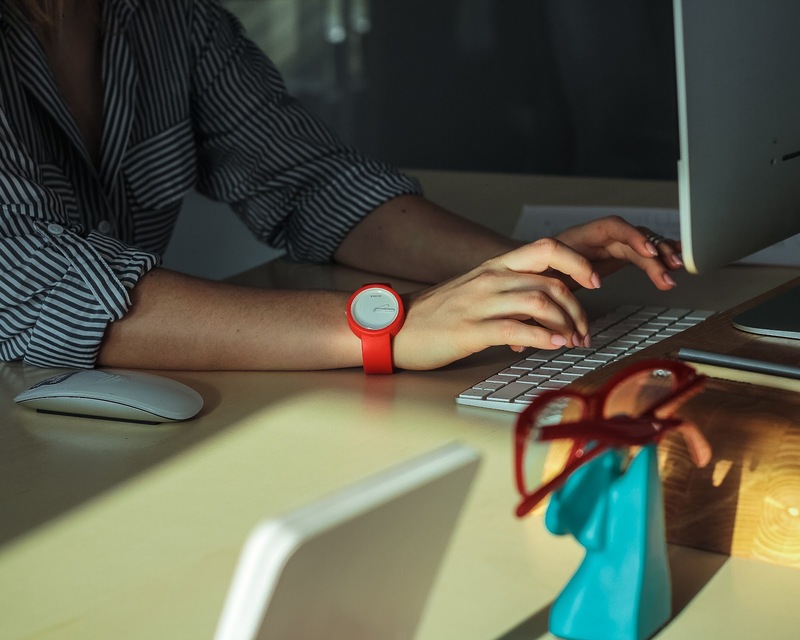 Typically people now take a laptop out to do something that requires a keyboard – what we might call “real work” for want of a proper definition. Mobile is more than just a piece of hardware. It has become an ecosystem. Your mobile device becomes an entry point to music, books, films, banking and even paying for parking or bus tickets. Microsoft has effectively got no presence in a technology many consumers use daily. Microsoft started in PC operating systems by having the bold ambition of putting a PC on every desk. It largely succeeded. In mobile, which is a PC in every pocket, it is almost nowhere. From 30% of the mobile market OS in about 2006 it now has effectively 0%. More than a decade of decline with a couple of blips in Windowsphone. Many enthusiasts who used Windowsphone, including me, were forced off the platform as Microsoft simply abandoned the market. The only official word being a couple of tweets from Microsoft employees. Since 2016 Microsoft product enthusiasts have been wondering if Microsoft would try to get back into mobile. Andromeda is apparently it. In a rather confusing name drop, the word Andromeda refers to both some possible hardware product and also some software. The software looks to be something called Windows Core OS. It probably won’t have that name in the future but it is Windows 10. Strategically Microsoft wants to get rid of the sort of Windows that dates back almost 30+ years. The Microsoft Windows of today has been built on code that runs WIN32. The name for applications that most people associate with Windows for decades. These applications allow developers a lot of control over the PC and, as well as the powerful applications this allows, this also has let in the malware and viruses that have plagued Windows. Microsoft would like to move towards a mobile apps application model where people get software from an online store run by Microsoft. The apps would be touch-friendly and curated. The Microsoft Store on Windows 10 offers this but the model makesthe most sense in some future world where WIN32 traditional applications don’t exist. This brings us to Windows Core OS. Windows Core OS is Windows 10. However, it’s Windows 10 that only runs these modern touch-friendly applications. It does have the ability to access WIN32 but in a controlled way. It has components so the operating system will include extra pieces that can add a function – like making phone calls. It is that last bit that people are getting excited about. Will Andromeda, the hardware device, be some kind of phone. Microsoft has had some success in hardware making premium priced tablets and laptops under the “Surface” brand. A Surface is characterised by being an aspirational device deliberately highly priced to allow Microsoft hardware partners to innovate at a lower price. Microsoft fans have added rumours about Andromeda software to Andromeda hardware and called it the Surface Phone. In reality, most informed journalists are talking about a dual screen mobile device running Windows Core OS and an ARM-based chipset. Whether it will really make calls or just have an internet connection is unclear. It is likely to be focused on note-taking, Continuum, and possibly mixed reality. It’s not certain to ever be released as a real product and if it does eventually become available for purchase if it contains the “Surface” name it will be way more expensive than a phone. Current opinion is we may see it in late 2019. This is also the date when Windowsphone support ends too.